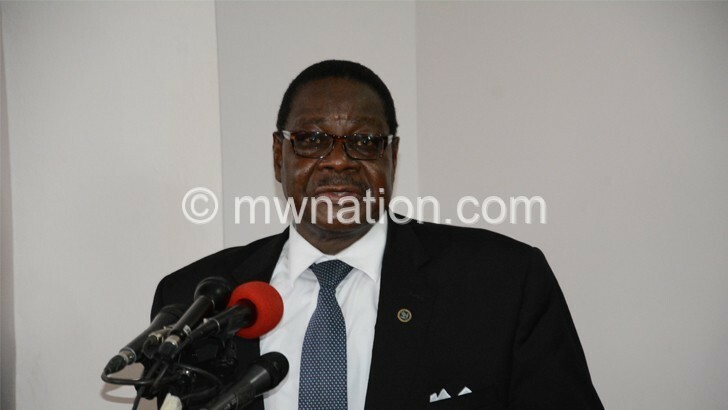 President Peter Mutharika and Malawi Law Society (MLS) have condemned the killing of four elderly people in Neno District on Monday by an angry mob on suspicion of witchcraft. The President, in a statement issued by the State House Press Office yesterday, said he is saddened by the brutal acts of the mob and has since ordered the Inspector General (IG) of Malawi Police Service to investigate the matter and bring to justice perpetrators of the acts. He has since urged Malawians to stop accusing the elderly of witchcraft whenever someone dies. In the same vein, MLS has reminded Malawians that the country is a nation of laws and that it is the duty of every citizen to observe and uphold the laws. In a statement also issued yesterday, MLS said the sad thing about the Neno incident is that the four elders could have been principally targeted because of their old age. MLS said the development reflects poorly on those who were involved that instead of protecting these vulnerable people, they turned on them and murdered them. “The Society hopes that the Malawi Police Service will relentlessly pursue those who were responsible for the murder of the Neno four so that they can account for their actions in a competent court of law. “Should these cases be successfully investigated and the wrongdoers apprehended, the Society offers to the Government of Malawi the services of its members for their prosecution, on a pro bono basis,” reads the statement co-signed by MLS president John Suzi-Banda and honorary secretary Khumbo Bonzoe Soko. On Monday afternoon, four elders, namely Eliza Enosi Kanjete (86), Elenefa Kanjete (76), Byson Kanjete (73) and Idesi Julias Kanjete (69), all from Chimbalanga 1 Village in the area of Tradituonal Authority (T/A) Dambe in Neno were killed by an angry mob on suspicions that they had a hand in the death of their 17-year-old grandchild who was struck by lightning on the same day. Police said no arrests had been made yet as environment was still tense in the village following the deaths.